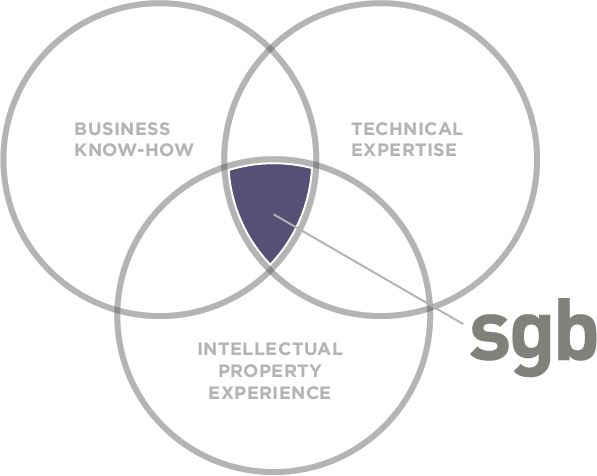 Slayden Grubert Beard (SGB) is a premium law firm offering a complete range of intellectual property services to vanguard companies and individuals. Worldwide, we strengthen innovation by crafting intellectual property legal solutions tailored to our clients' business goals. Our successes span courtrooms, administrative trials and appeals. We are savvy at safeguarding intellectual property. Our European practice engages directly with the European Patent Office without local counsel. We offer a proven track record of legal excellence, technical expertise and a business-forward approach. Delivering effective, practical solutions for global enterprises, innovators and entrepreneurs. We are trusted advisers to global industry giants, Fortune 100 companies, innovative start-ups and creative individuals.